We regret that refunds cannot be given in any circumstances unless you cancel your place in writing before 1 July 2011, in which case we will give you a 50% refund. If you need to cancel after 1 July 2011 you may pass on your place to another person. 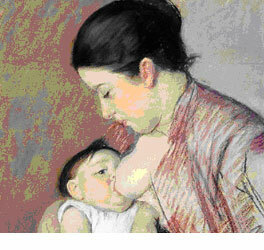 Since Freud described the attachment to the mother as "unique, without parallel, established unalterably for a whole lifetime as the first and strongest love-object and as the prototype of all later love relations" the role of primary relationships in the development of the human psyche has been a vital theme in psychoanalytic theory, absorbing the attention of every major subsequent theorist. Out of these discussions, our understanding of how our first relationships form a template for all significant future relationships has been elaborated and refined so that we now have a sophisticated understanding of the power of that prototype in the psyche. It is widely accepted that from birth we develop unconscious expectations of the other out of which our sense of self emerges; that what we feel about about ourself is often merely a shadow of the projections we received in infancy. Psychotherapy steps in when those prototypes of self and other are painful or destructive and we seek to introduce new experiences and expectations of the self and other. We consciously and deliberately work with the human need for safety in relationships, and the tensions implicit in finding this in an imperfect world. How do our speakers work with this powerful theoretical offering? Was Freud right to say that our prototype for love relationships is unalterable? Where has the object relations discussion taken us today?